On January 12, 2010, the deadliest earthquake in the history of the Western Hemisphere struck the nation least prepared to handle one. Jonathan M. Katz, the only full-time American news correspondent in Haiti, was inside his house when it buckled along with hundreds of thousands of others. 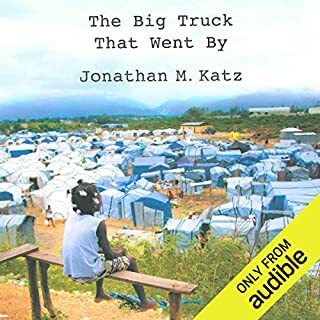 In this visceral first-hand account, Katz takes readers inside the terror of that day, the devastation visited on ordinary Haitians, and through the monumental--yet misbegotten--rescue effort that followed. Mary B. Addison killed a baby. Allegedly. She didn't say much in that first interview with detectives, and the media filled in the only blanks that mattered: a white baby had died while under the care of a churchgoing black woman and her nine-year-old daughter. The public convicted Mary, and the jury made it official. But did she do it? Good story, GREAT narrator, ending a bit unreal. Mississippi plantation mistress Amanda Satterfield loses her daughter to cholera after her husband refuses to treat her for what he considers to be a “slave disease.” Insane with grief, Amanda takes a newborn slave child as her own and names her Granada, much to the outrage of her husband and the amusement of their white neighbors. 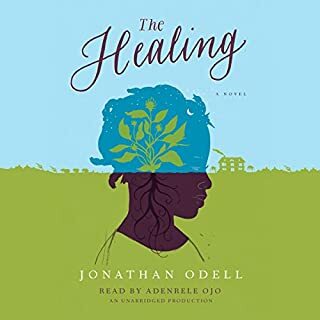 Troubled by his wife’s disturbing mental state and concerned about a mysterious plague sweeping through his slave population, Master Satterfield purchases Polly Shine, a slave reputed to be a healer. 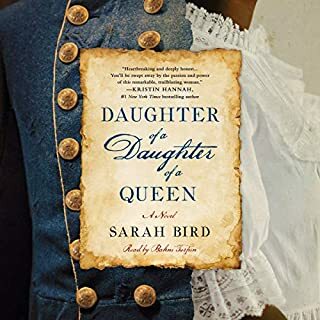 Powerful, epic, and compelling, Daughter of a Daughter of a Queen shines light on a nearly forgotten figure in history. Cathy Williams was born and lived a slave - until the Union army comes and destroys the only world she’s known. 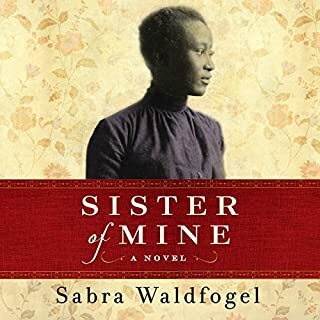 Separated from her family, she makes the impossible decision - to fight in the army disguised as a man with the Buffalo Soldiers. With courage and wit, Cathy must not only fight for her survival and freedom in the ultimate man’s world, but never give up on her mission to find her family, and the man she loves. On January 12, 2010, a major earthquake struck near Port-au-Prince, Haiti. Hundreds of thousands of people died, and the greater part of the capital was demolished. Dr. Paul Farmer, U.N. deputy special envoy to Haiti, who had worked in the country for nearly thirty years treating infectious diseases like tuberculosis and AIDS, and former President Bill Clinton, the U.N. special envoy to Haiti, had just begun to work on an extensive development plan to improve living conditions in Haiti. When the 2010 earthquake struck Haiti, Raymond Joseph, the former Haitian ambassador to the United States, found himself rushing back to his beloved country. The earthquake ignited a passion in Joseph, inspiring him to run for president against great competition, including two well-known Haitian pop stars, his nephew Wyclef Jean and Michel Martelly. But he couldn't compete in a democratic system corrupt to the core. "It took months of God waking me up in the middle of the night before I realized I was the one He was calling to leave my comfortable American life and move to Haiti." Miracle on Voodoo Mountain is the inspirational memoir of an accomplished and driven 24-year-old who quit her job, sold everything, and moved to Haiti, by herself - all without a clear plan of action. Megan Boudreaux had visited Haiti on a few humanitarian trips but each trip multiplied the sense that someone needed to address the devastation. At an opulent resort in Montego Bay, Margot hustles to send her younger sister, Thandi, to school. Taught as a girl to trade her sexuality for survival, Margot is ruthlessly determined to shield Thandi from the same fate. When plans for a new hotel threaten their village, Margot sees not only an opportunity for her own financial independence but also perhaps a chance to admit a shocking secret: her forbidden love for another woman. Ten-year-old orphan Libète has been hardened by the daily struggle to survive in Cité Soleil, Haiti's most infamous slum. But when she and her best friend, Jak, discover a young mother and her baby brutally murdered in a nearby marsh, it's unlike anything she's encountered before. Though initially shocked, the adults of Cité Soleil move on quickly from the event; after all, death is commonplace in this community. 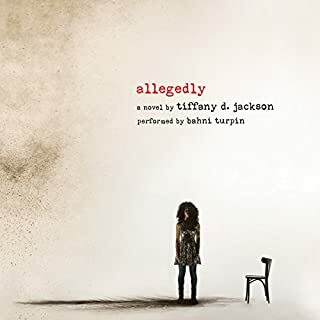 Undaunted, Libète takes action with Jak in tow, plunging herself into a dangerous, far-reaching plot that will change her irrevocably and threaten everything she holds dear. 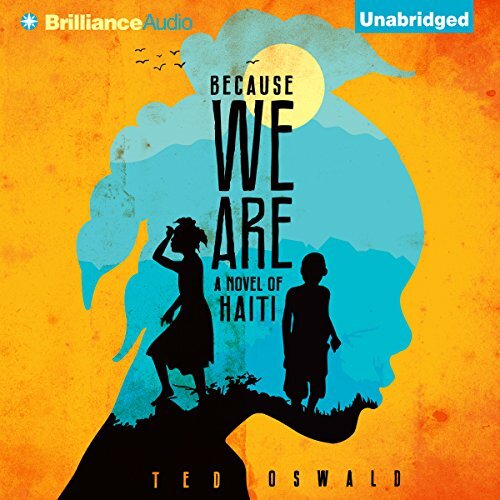 Because We Are is a profound and mesmerizing tale of a young girl's search for justice in an unjust world, set against the vivid and tumultuous backdrop of modern-day Haiti. I profoundly enjoyed this book and performance. This one will stick with me for a while. I was afraid this would be too much of a 'Young Adult' title, but it's definitely for mature readers. A few plot elements were predictable, but that was a very minor blemish on an otherwise fantastic piece of work. 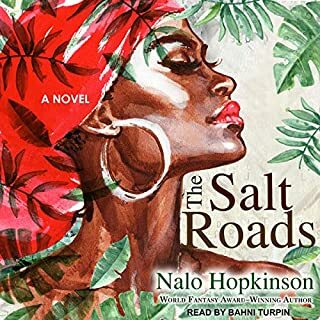 This audiobook was such a gem in every way. Not a mystery--multiple mysteries. Characters that touch your heart and raise you up. The narration was perfect and so lovingly done. Also yet another example of how unnecessary foul language is to a gripping story. I wish I had 10 more audiobooks like this one. It was an exciting well told story. I fell in love with the characters. The story touched on so many problems facing impoverished people. This is a richly complex story with characters who bring the glue to hold you spellbound. Fantastic narration. I was pleasantly surprised and did not want it to end! MORE from this writer! over all it was good, it was very hard to follow l, due to jumping all over with the story. Frustrating at moments, because you could not understand what was going on between chapters. It was a really good and glad I finished, just could of been wrote less confusing. the narrator was awesome and great choice for the book. I bought this book on sale & I didn't know what to expect. It's different from the usual genre I read. I enjoyed this book but at first I was confused because it jumps from present to past. I just wanted to hug Liberté & give her a hug. I'm sure the characters are all fictional. This book opened my eyes to the trouble in Haiti. I could not stop listening. Liberty is muy little hero. The book was well written. I want more from this writer. I also love the narrator she gave the story life. Poetic. Heartbreaking. Uplifting...the list could go on forever. Highly recommended for anyone to read. Yes, it's a work of fiction but so much of that lines up with what happened after that earthquake. The first half it can draw out a bit but reading the whole book is so worth it it's become one of my favourite books this year. I was very moved by a story set in a country I am not familiar with. The struggles described are foriegn and terrible. It reminded me to look deeper at a situation and not listen to a convenient explanation.